Intermittent fasting is not just a "fad diet". It teaches you exactly how to deal with real issues and, simply, you'll discover living a healthy life will become the only life you know. Intermittent fasting is an eating pattern where you cycle between periods of eating and fasting and, along with it, comes incredible health benefits! A scientific study showed intermittent fasting increases your metabolic rate by four to 14 percent and can cause weight loss of up to eight percent in a three-to-24-week period! Today is the day you finally solve your eating issues for good. Aren't you lucky? So, if you're ready to finally take action, then download today! Excellent book. this book and think that fasting is a good way to ‘cleanse’ and get healthy the right way. I sense the need for discipline whenever I get into the fasting habit and see that it’s slowly beginning to work in my life as well. Highly recommend this book. 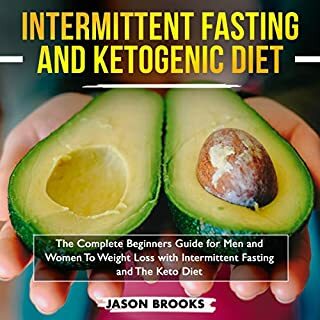 Mostly about the ketogenic diet and how to go about this. It also explain about intermittent fasting and best eating times. What to eat and when. Exercising on the ketogenic diet and nutrition is encouraged. Must read for any fasters! 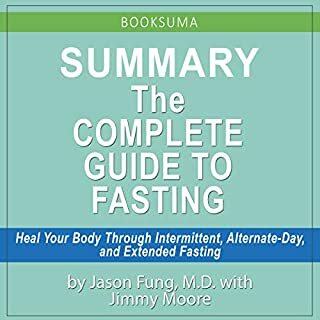 Anyone who has an interest in fasting or weight loss needs to read this book, makes the whole weight loss formula seem so simple and achievable, I've tried every diet out there and intermittent fasting is much more of a lifestyle and gives you so much more freedom while dieting as well as making it so simple to lose weight- highly recommend to anyone on their weight loss journey! 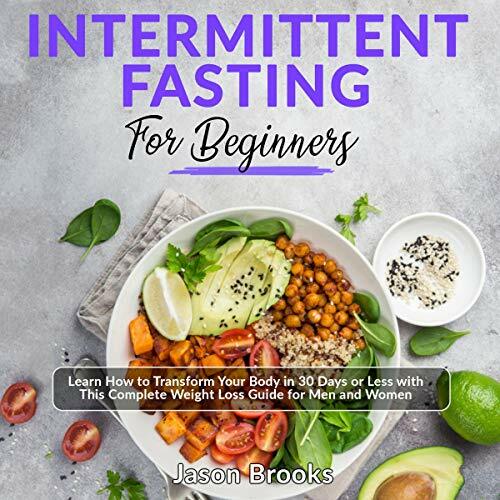 This is a very helpful guide to anyone wanting to lose weight, goes through everything you could ever need to get started with Intermittent Fasting and get started on your weight loss journey, has been a huge help on my personal journey I'd like to add. As someone looking to lose weight I'll be using the advice in here and starting I.F tomorrow, finally trying to sort my health out! 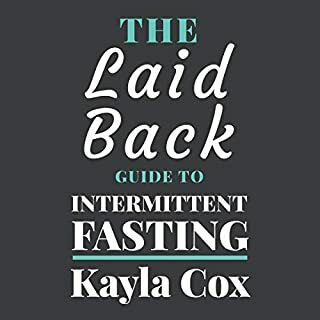 Anyways this book has offered so many insights into Intermittent Fasting and how to utilize it properly, and the narrator kept me engaged throughout highly recommend. 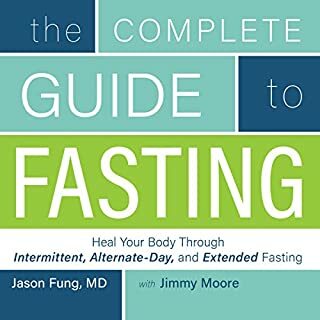 This book will show you exactly how to make fasting work for you and will be very beneficial to all beginners to I.F, but I also feel there's some golden nuggets to anyone interested in weight loss and I.f so while yes its aimed at beginners, all could benefit. 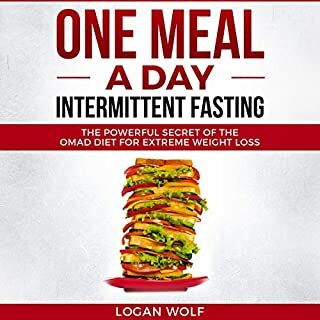 A great introduction on how to lose weight and basically improve all areas of our health with Intermittent Fasting as well as how to curb all the Challenges that come a,long with it, thank you, oh and really enjoyed the fluent narration, helped make the content even more engaging! Whether you're a man or women I.F will help you lose weight and feel better, and this guide is the perfect introduction to the lifestyle, can only recommend to all those looking to take their journey to the next level. As someone on their weight loss journey and looking to I.F as a way of life this book give a brilliant guide for getting started and making I.F stick, very very happy and now ready to get started with I.F- wish me luck! 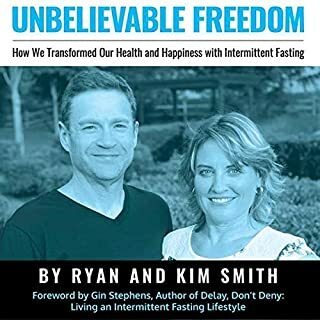 This book gives a great overview for anyone thinking about trying the Intermittent Fasting. All the complex points are broken down into easy to understand "bites" and it takes something as scary as a lifestyle change, like Intermittent Fasting, much more approachable. - Highly recommended! Great guide for people like me! This was a great to listen to. I have wanted to try intermittent fasting for a while now, but felt a bit overwhelmed by the amount of information available online. This guide helped me to make sense of it all! Thanks the new lifestyles begins NOW!